The Dragon spacecraft took four days to travel to the complex after blasting off from the Kennedy Space Center’s launch pad 39A on Sunday, hauling food rations, space station repair equipment, and science investigations designed to monitor Earth’s ozone layer, study lightning and test out new automated navigation tools for a future satellite servicing mission. 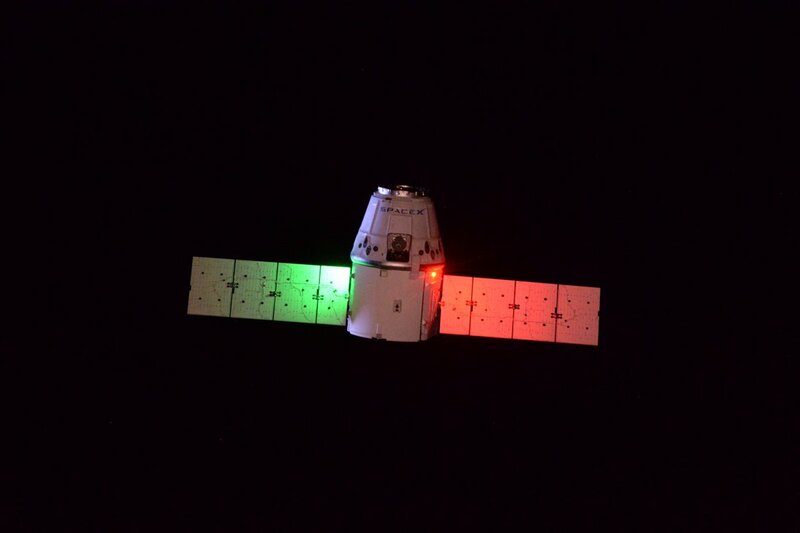 The 23-foot-long (7-meter) Dragon supply ship approached the space station from below, pausing at predetermined hold points to allow for status checks by ground controllers. 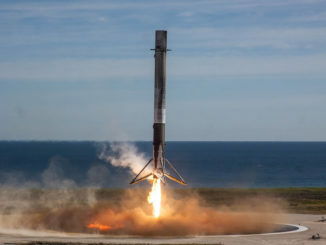 Mission control centers in Houston and at SpaceX headquarters in Hawthorne, California, gave a green light for the spacecraft to move to a capture box around 10 meters, or 33 feet, beneath the outpost. European Space Agency astronaut Thomas Pesquet unlimbered the space station’s Canadian-built robotic arm to grapple the Dragon cargo carrier at 5:44 a.m. EST (1044 GMT), a few minutes earlier than projected in Thursday’s timeline. Capture of the SpaceX-owned supply vessel occurred as the space station sailed over the northwest coast of Australia. 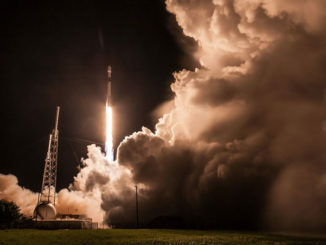 The mission delivered a record payload of scientific hardware for a SpaceX resupply mission, a manifest that includes 40 mice researchers will study to learn about bone healing in microgravity, a field that might have applications for victims with catastrophic bone injuries and patients with osteoporosis. The military is co-sponsoring the bone health experiment, with an eye toward learning lessons that could help injured soldiers. Bacterial and stem cell researchers also have a stake in the mission. 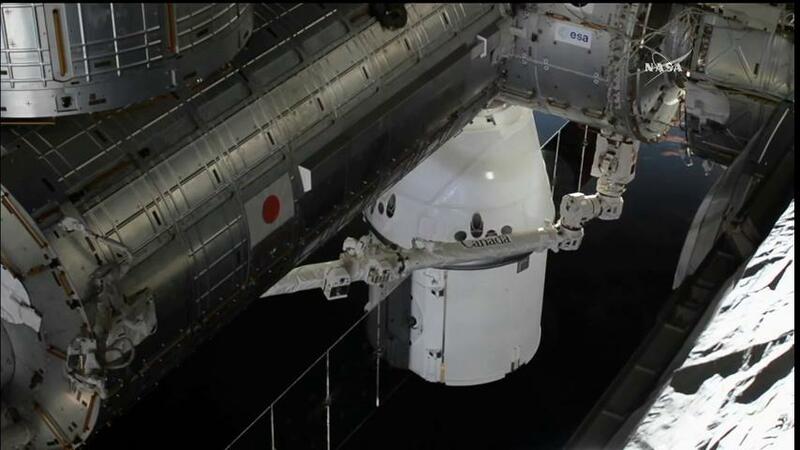 The station’s robotic arm placed the Dragon spacecraft on the Earth-facing port on the Harmony module a few hours later, and bolts drove closed to create a firm connection. 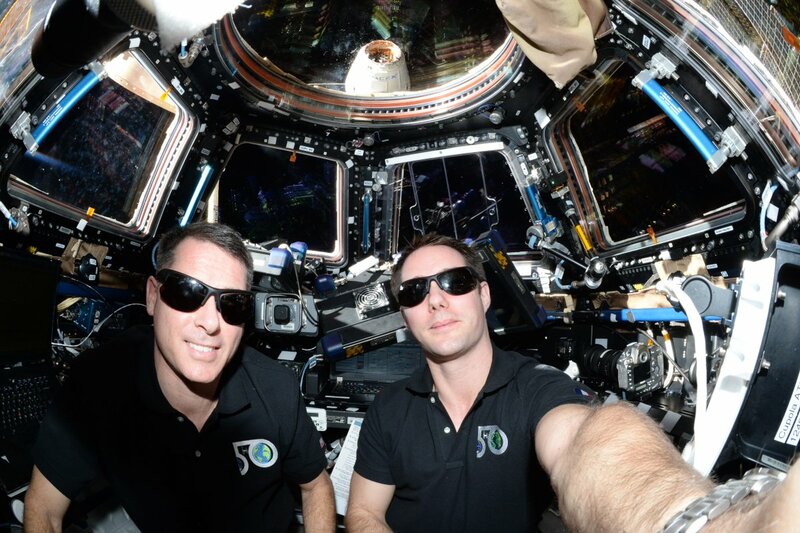 Station astronauts planned to verify no leaks between the station and Dragon spacecraft, then open hatches leading into the supply ship later Thursday to begin unloading time-sensitive specimens and research payloads. Thursday’s capture marked the 10th time a Dragon spaceship has reached the space station, counting a demonstration flight in 2012. 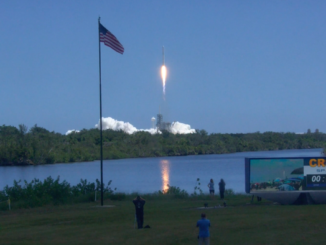 The Dragon spacecraft automatically aborted an attempted rendezvous Wednesday due to an incorrect value in the capsule’s relative GPS navigation system. SpaceX engineers fixed the problem in time for another approach Thursday. While astronauts unpack Dragon’s pressurized cabin, the station’s robotic arm will pull two research experiment platforms and a mounting base out of the ship’s external payload bay for placement on the outpost’s huge structural truss. 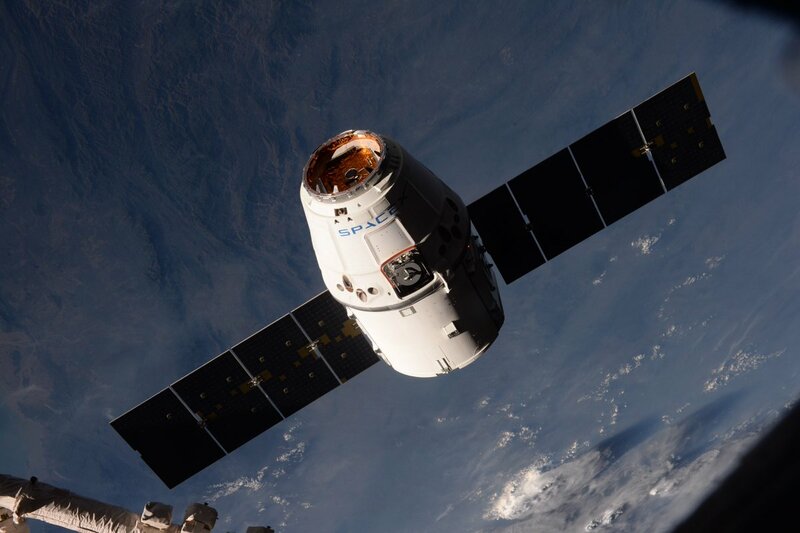 The Dragon spacecraft will remain at the space station for around 30 days, detach in late March and re-enter the atmosphere for a parachute-assisted splashdown in the Pacific Ocean, bringing home blood and urine specimens, the euthanized mice and other hardware needed back on Earth. The Dragon’s arrival is the first of three resupply missions going to the space station in the next month. A Russian resupply ship launched early Wednesday from the Baikonur Cosmodrome in Kazakhstan, on track for an automated radar-guided docking with the station early Friday. Meanwhile, an Orbital ATK Cygnus cargo vessel is being prepared for blastoff March 19 atop an Atlas 5 booster from Cape Canaveral with another supply delivery.